japan GOOD DESIGN is the largest asian award founded in 1957 and reflects japanese design values and principles that aim to enrich lives, industries and society. 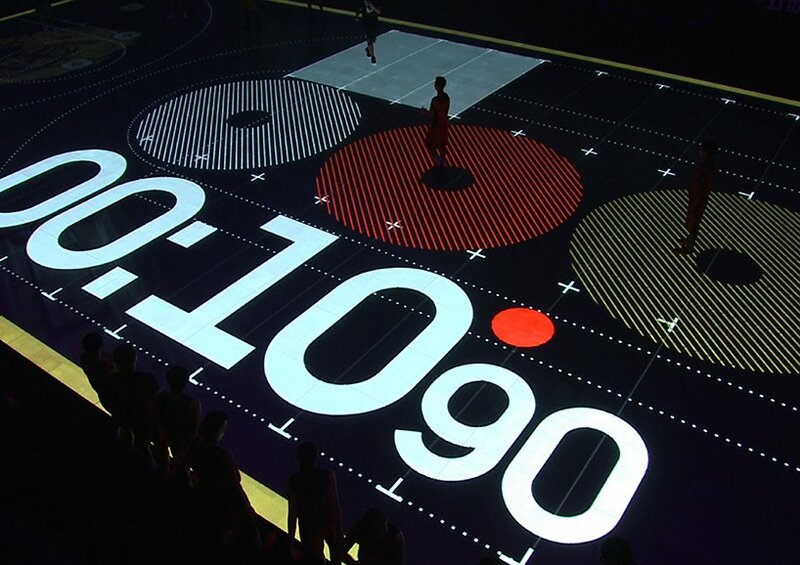 japan GOOD DESIGN award: AKQA teamed up with NIKE to develop a full-sized LED basketball court for the NIKE RISE basketball tour that is currently taking place across china. 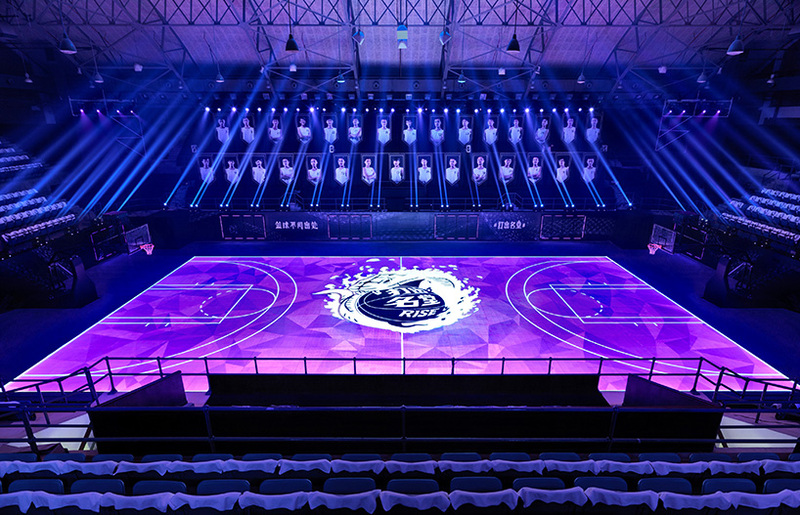 the court utilizes motion-tracking and reactive LED visualization to train and challenge the players through authentic drills based on kobe bryant’s own training. 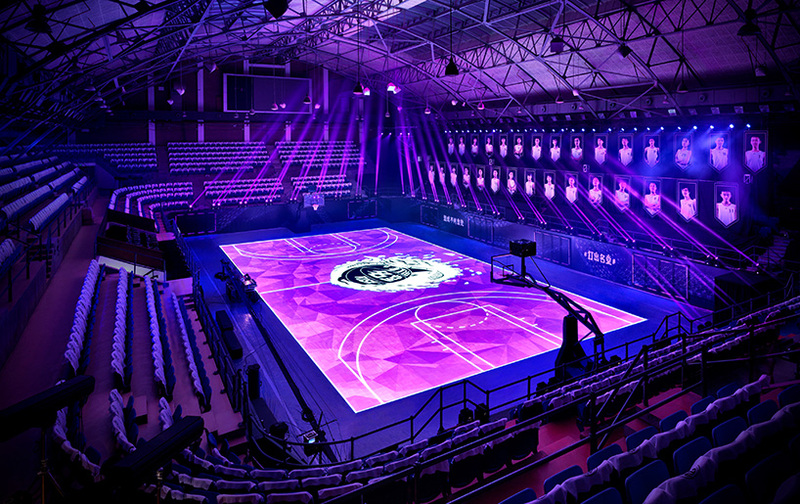 AKQA worked closely with NIKE, rhizomatiks from japan and wispark from china to to produce the LED court. the planning and designing process of the house of mamba and the court it was crucial to design a space inspired by kobe (AKA the black mamba), given his eye for product design and architecture, and his unparalleled competitiveness on the basketball court. 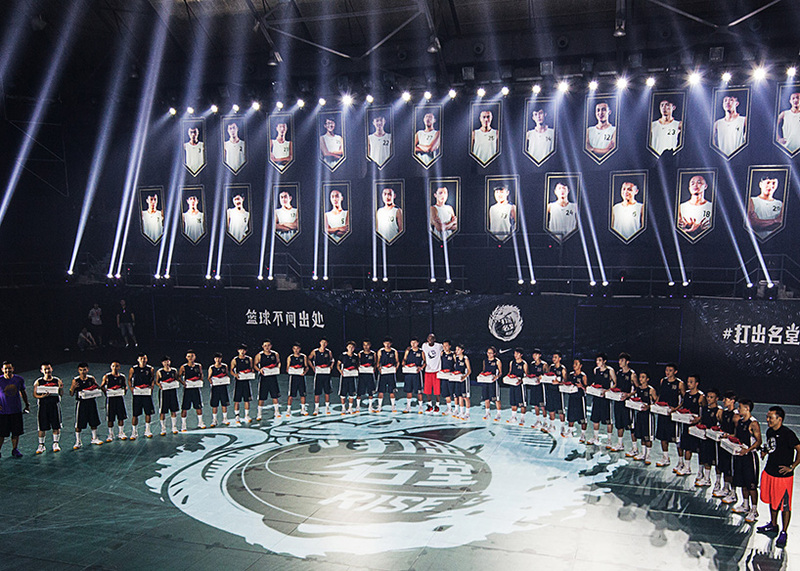 the entire design was directed by his persona and performance, and with the NIKE product line in mind. the court took roughly a month to produce from initial design and technical build through to the fabrication of the space and testing. 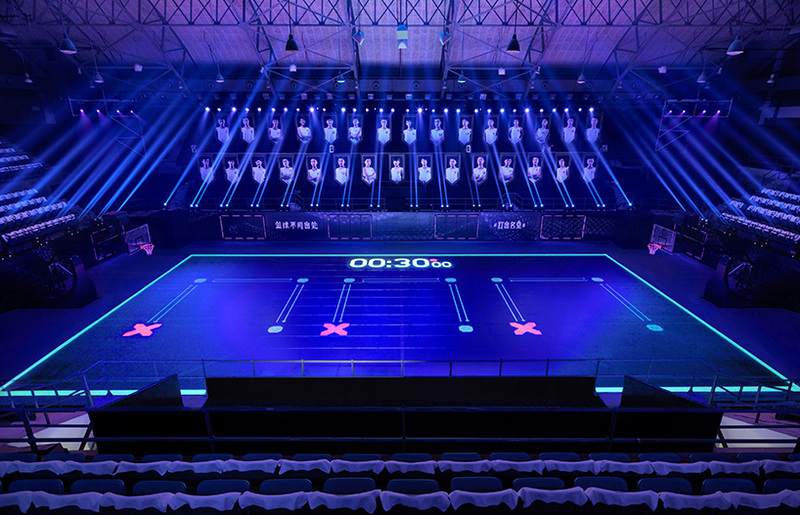 it is made of LED screens and equipped with motion-tracking technology that allow the rise players to follow floor commands lit up on the surface. computers can plug directly into the court to control the screens, bringing instructional graphics, video content, live feed and player-tracking to life. through the reactive sensors and software it was possible to track the players’ movements, their speed and velocity, change of direction, time and completed drills during the training and events. 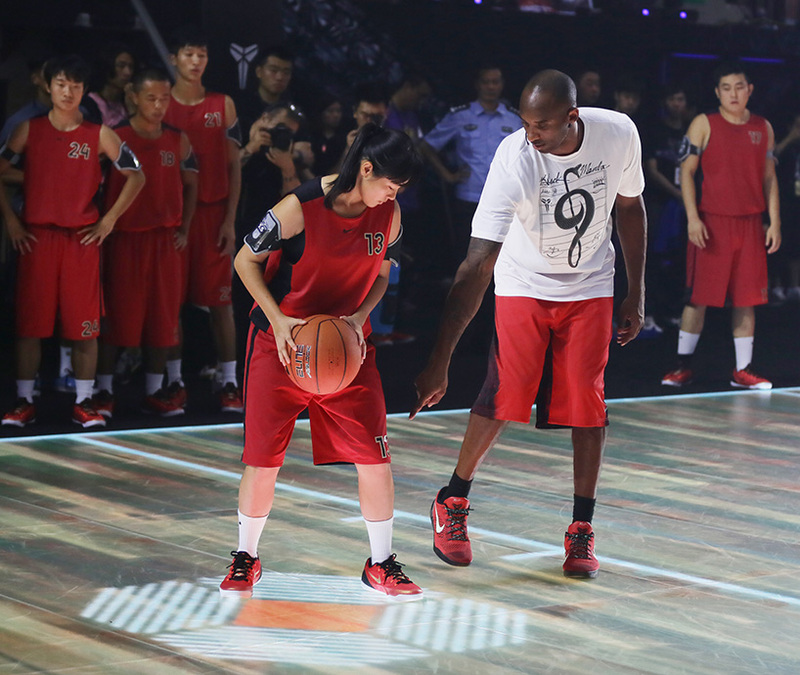 the court has the ability to quickly and seamlessly transform into various training scenarios. with its program and reactive capacities the drills can be switched instantly and there are no limitations in terms of content displayed on this smart playing surface. 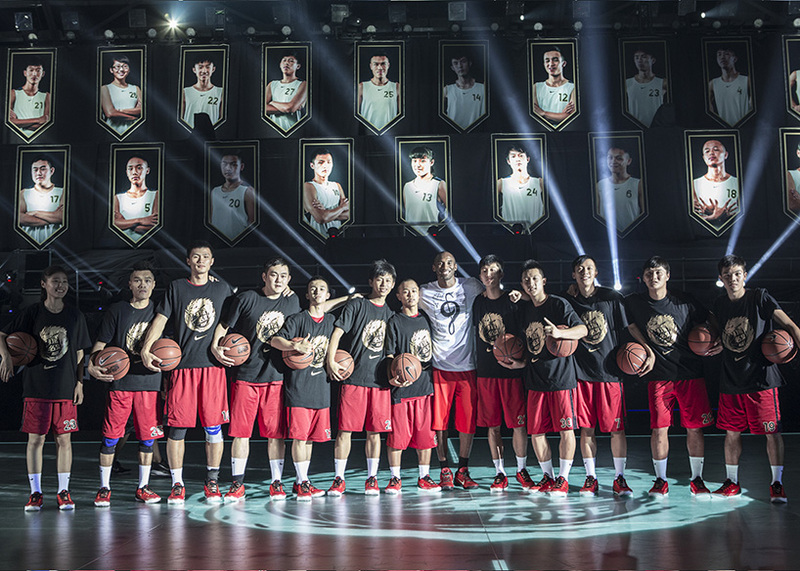 for the house of mamba event the court ran five bespoke drills inspired by kobe’s training and playing style, enabling the rise players to develop and measure their skills with counsel from NIKE and kobe along the way. each drill used reactive sensors, instructional graphics and artificial intelligence to intuitively react to a player, making each drill individual. 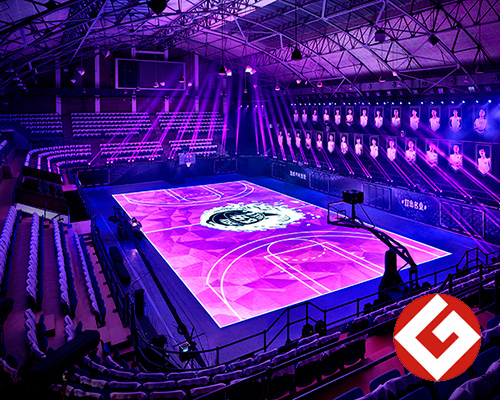 the interactive LED basketball court by NIKE is a winner of the 2015 GOOD DESIGN gold award, presented during tokyo designers week. the GOOD DESIGN award was founded in 1957 by the japanese ministry of international trade and industry and is hosted by the japan institute for design promotion. the ‘g-mark’ emblem reflects comprehensive design values and principles that aim to enrich lives, industries and society.